Sport Clips Haircuts of Encino Town Center believes in putting our values in action! To support and honor our nation’s heroes, Sport Clips Haircuts of Encino Town Center​ annually raises funds for the VFW’s Sport Clips Help A Hero Scholarship program and we serve as the primary sponsor of the Ageless Aviation Dreams Foundation, which provides “flights of a lifetime” to WWII and Korean War veterans. We also support the American Red Cross in their efforts to collect life-saving blood and platelet donations. From October 1 through Veterans Day, we will be raising money to support a great cause! 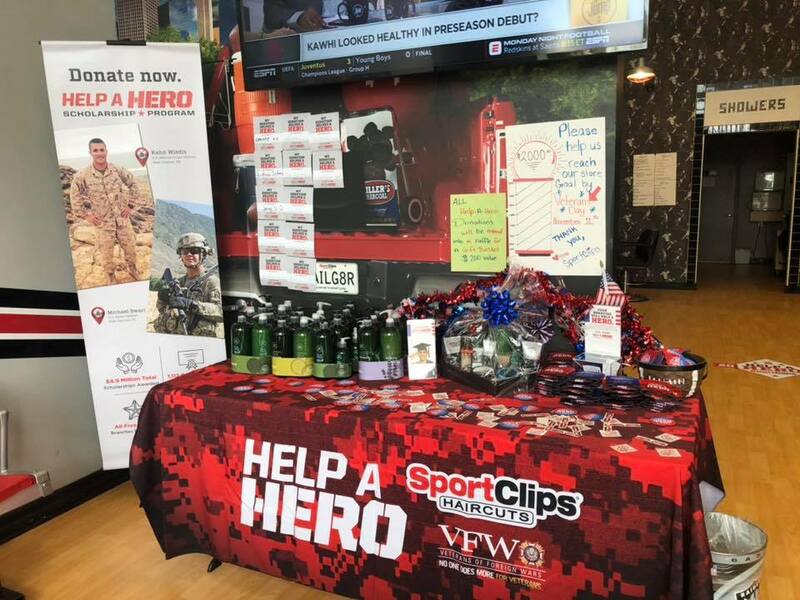 Come in for your MVP haircut and make a donation to our Help a Hero Scholarship fund, 100% of the proceeds go to our Veterans. Donate at our ENCINO location and get entered in a Raffle, Winner will get a product basket worth $200!!! !